In the spirit of BarCamp, ProductCamp is a collaborative, user organized unconference, focused on product management and marketing topics. At ProductCamp there are no “attendees,” since everyone participates in some manner: This means you get to suggest and lead sessions to share your experiences, help with logistics, help secure sponsorship, or volunteer. ProductCamp is a great opportunity for you to learn from, teach to, and network with professionals involved in the product management, marketing, and the development process! ProductCamps – A Global Phenomenon! 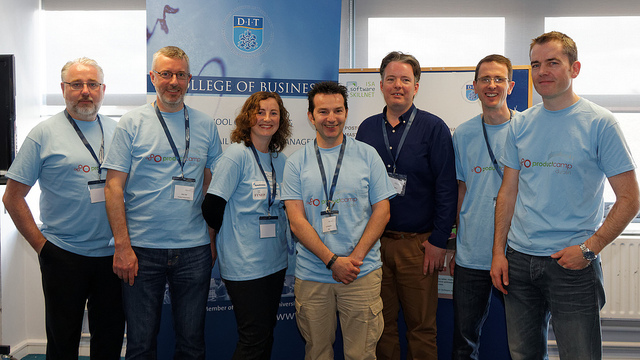 ProductCamp Dublin joined an extensive range of Cities throughout the world which already host ProductCamp events – Silicon Valley, Washington, Austin Texas, Sydney, Berlin, London, Vancouver, Belfast and many more. The range of ProductCamps can be viewed at ProductCamp.org. with support from Andrew Harbourne-Thomas, Simon Fitzpatrick, and John Maguire.